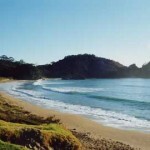 The Twin Coast Discovery Highway leads around the Tutukaka Coast, making an enjoyable side-trip if you are heading further afield or a day trip if you have plenty of time to enjoy the many beaches, attractions, walkways and eateries along the way. 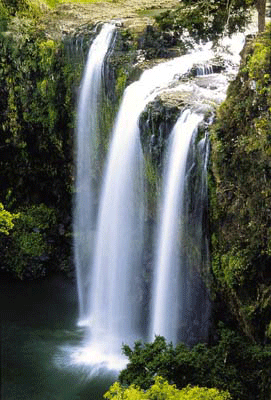 Directions to the Whangarei Falls are clear throughout Whangarei and from SH1 (follow the brown signs). There is parking, picinic areas and public toilets at the falls. 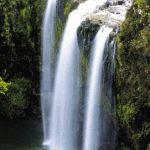 You can either view the spectacular falls from above, walk to the bottom for a better view or spend an hour doing the round-trip bush walk to the AH Reed Kauri Walk. After the falls turn right and continue on the main road east towards the coast. Huanui Orchards for fresh fruit and vege and Glenbervie Pottery along Ngunguru road are worth a visit. Around Glenbervie you will see historic dry-stone walls that line each side of the road. 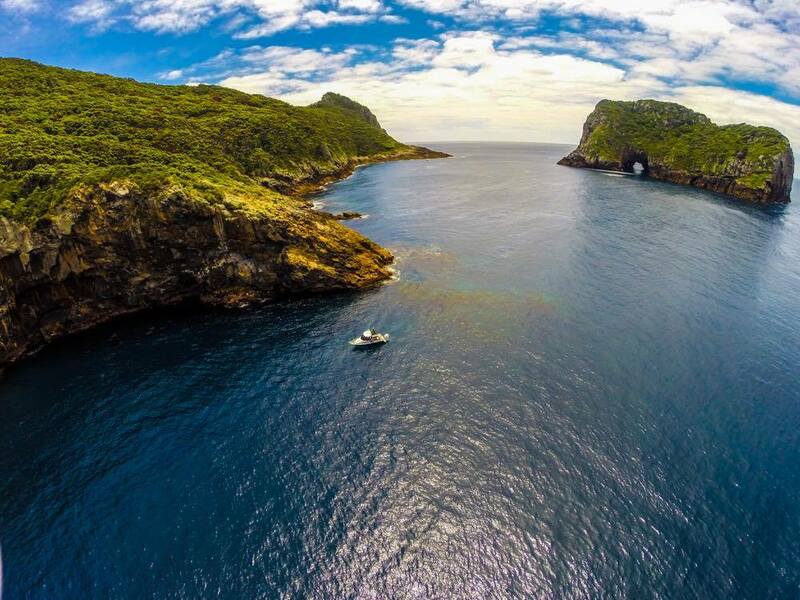 After winding through the countryside you reach a tidal river leading towards Ngunguru. Native bush and mangroves surround you as you come closer to the coast. Ngunguru village is the first coastal location with a picturesque sandspit fringed estuary and a sandy beach just past the school. Stroll along the waterfront with an ice cream or walk around the coast to Whangaumu Bay (Wellingtons Bay) when the tide is low. Following the coast out of town the road winds upwards and inland. Towards the top of the hill on the right is an observation area where you can look out on the islands across the sea. Continuing on down the hill take a detour along Tutukaka Block road which leads along a peninsula with several scenic bays and great views before you arrive at Whangaumu Bay. 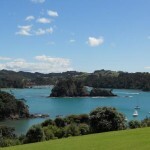 You have to back track from there onto the main road where you will find the Tutukaka Marina at the bottom of the hill. 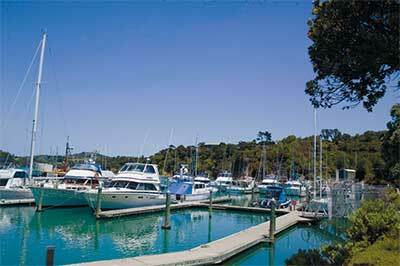 Wander amongst the boats around the marina, pop into one of the shops on the ground floor of Oceans Hotel or just sit back with a coffee or a glass of wine at one of the excellent cafes or bars and enjoy the ambience. 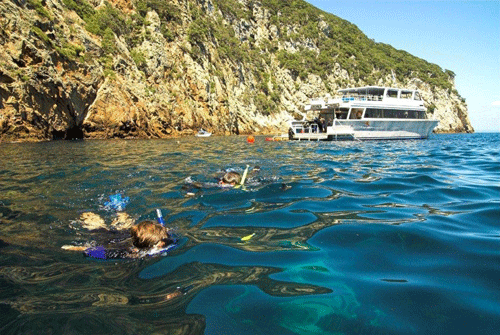 Diving and snorkeling/sightseeing boat trips to the Poor Knights Islands operate from the Tutukaka Marina. 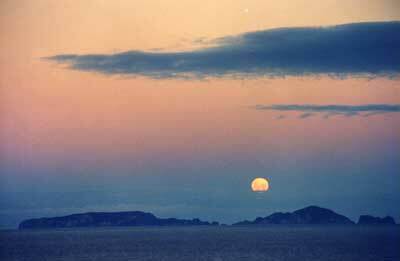 Leaving Tutukaka, head into the hills towards Matapouri Bay. 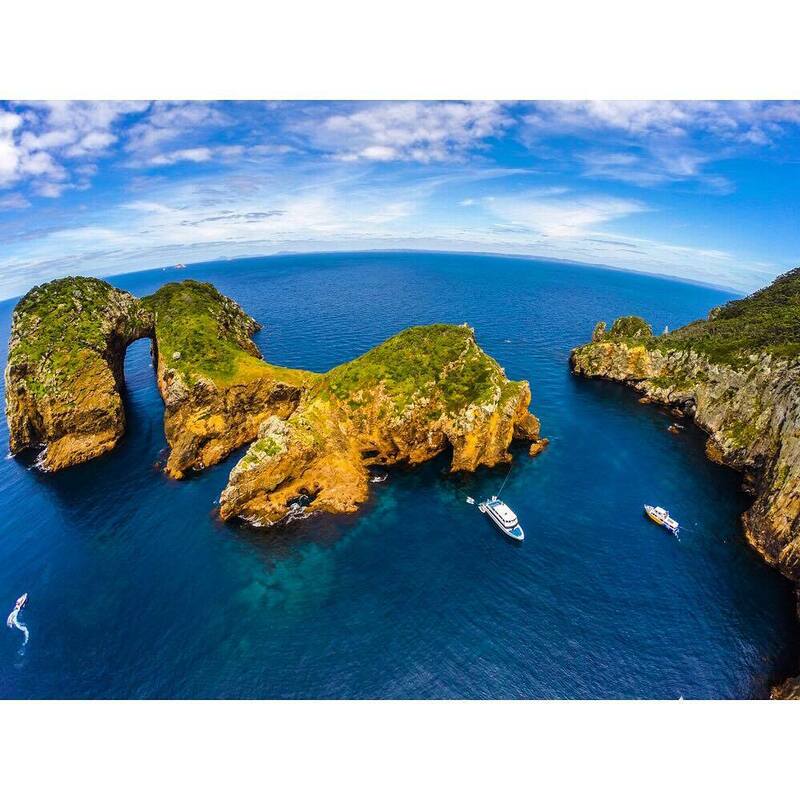 Matapouri is the first bay you reach. Turn right at the road with the dairy on the corner to get to parking by the beach. This bay is great for strolling on the white sand or having a dip. You can walk around the coast to Whale Bay or jump back in the car and drive to the Whale Bay carpark (top of the hill on the right) from where you can follow the track down the hill. This track takes about 10 minutes to walk each way and is well worth the trip. 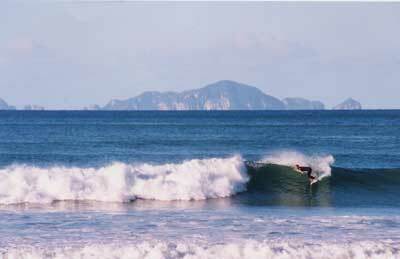 Further on from Whale Bay is Woolleys Bay and then Sandy Bay (surf beach). 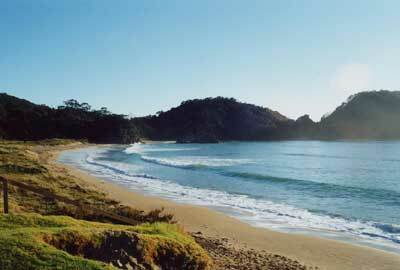 At Sandy Bay the road then winds inland towards Hikurangi where you join up with SH1. There is a small Museum in Hikurangi and on SH1 you will see signs for Waro Limestone Reserve and walkway. 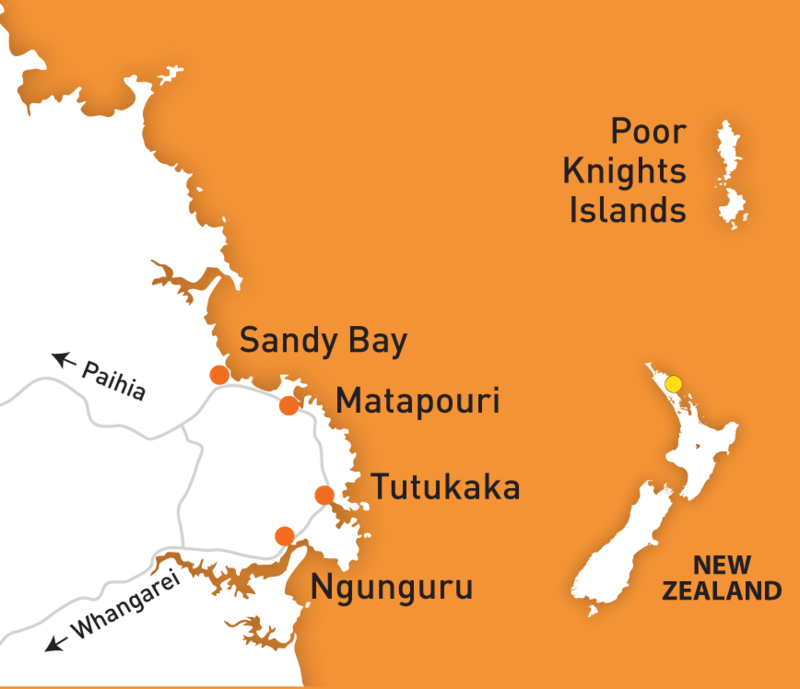 Alternatively you can drive to Whananaki South (and Whananaki North) from Sandy Bay however please note that the road is unsealed in some parts and very windy. Turn left onto SH1 and head back towards Whangarei. If you are going back to the coast turn right towards Kamo after the speed limit reduces to 70kmph (you will see a sign to the right directing you to Whangarei Falls/Tutukaka Coast). Drive into Kamo until the traffic lights where you turn left. Follow this road to the T-Junction at Kiripaka Rd where you turn left and keep going for 15 mins. 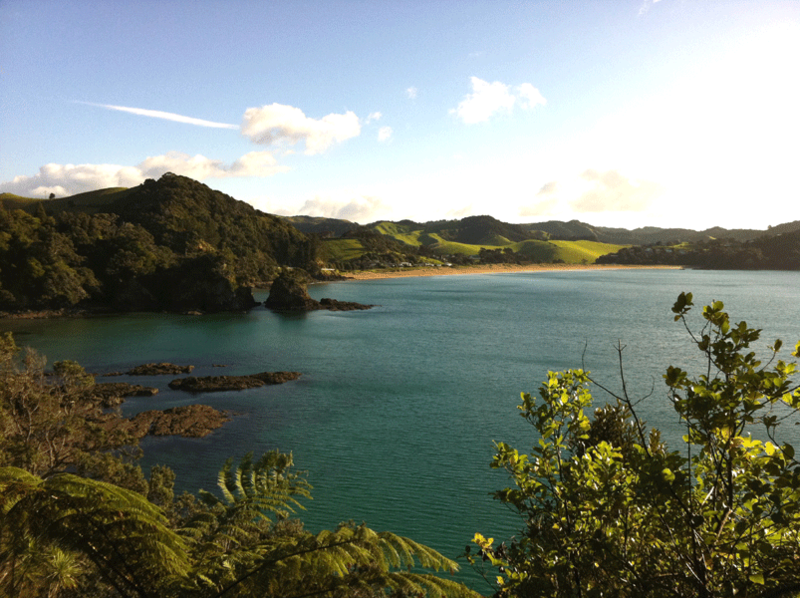 If you are heading for the Bay of Islands turn right when you arrive back at SH1. 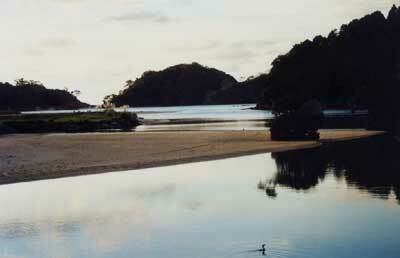 Paihia is about 45 minutes north of this junction. An alternative route is to turn right at the Old Russell Road junction, signposted to Helena Bay. This is a beautiful scenic route, with a plenty of bends in the road. 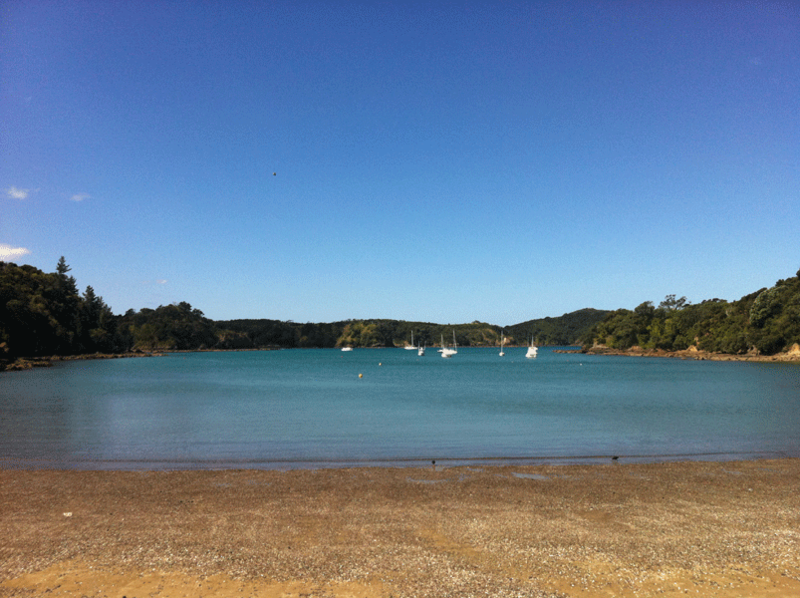 At the end you can either go to Russell or catch the short car-ferry back to Opua (and the road to Paihia). This route will add around 1-1.5 hours to your journey time but is well worth the detour.